Two high-profile Switch games add virtual reality. 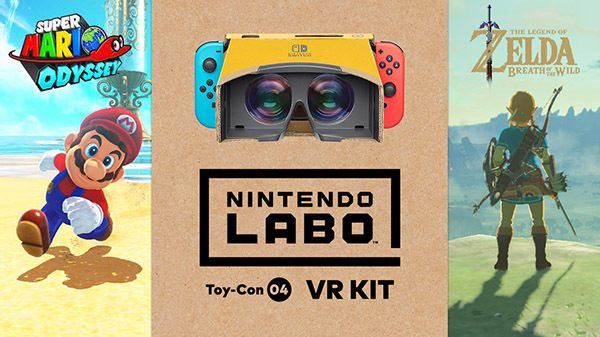 Super Mario Odyssey and The Legend of Zelda: Breath of the Wild will be compatible with Nintendo Labo Toy-Con 04: VR on April 25, Nintendo announced. Both Super Mario Odyssey and The Legend of Zelda: Breath of the Wild are available now for Switch. Nintendo Labo Toy-Con 04: VR is due out for Switch on April 12. Read more about it here. Watch a trailer for the games’ upcoming Nintendo Labo Toy-Con 04: VR compatibility below.